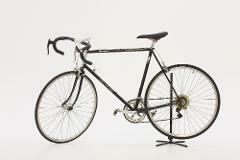 The Vintage Peddler is Christchurch’s home of vintage bicycles and a bunch of cycle enthusiasts. We own a unique selection of steel framed beauties that we’re happy to share with everyone to explore our growing city. If you like a stylish ride with a bit of speed, this is the girl for you. 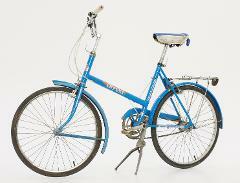 The L'Esprit beauty is a 10 speed with a super light frame. Our classic little Healing Loline, Lola. 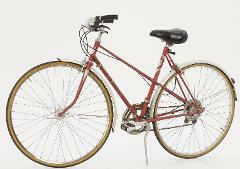 For a generation of kiwis growing up in the 70s and 80s you likely either rode a Raleigh 20 or a Loline and this little lady is a single speed beauty. 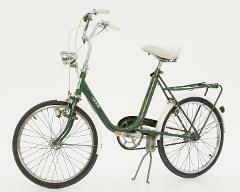 A sweet little piece of NZ history, Marilyn is a Raleigh Twenty just oozing with 70's style and sass. Mr Vintage himself, Stu has an eye for the finer bikes in life. If you ask nicely he’ll let you take his personal pride and joy Raleigh out for a city cruise on a hot summers day. 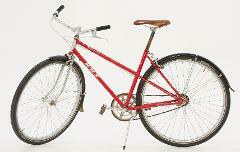 Another red retro beauty, our KHS single speed will take you wherever you need to go, preferably on the flat city streets! This Healing ten speed is now a single speed but the name has stuck. The conversion to no gears means this is a super smooth ride that whips along happily. The comfy seat, upright style and light frame make trips to the beach a dream. This one's for the kids! An old school classic Healing we call the Green Goblin or Baby Goblin so as not to be confused with the adult sized namesake. 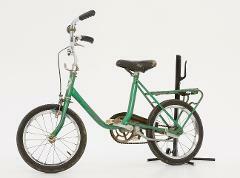 Perfect for grass skids with a front and back pedal brake. 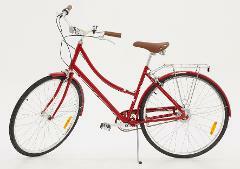 New Zealand made, the Morrison City Girl is a wickedly fun bike to hoon around town on. With 20” wheels it turns on a dime, and with 3 gears speed is no problem, not that you’d be in a hurry on a hot summers day. 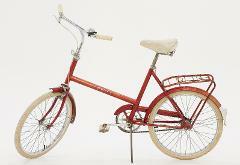 Hire a lovely new Schwinn bike and ride the Christchurch streets in style! 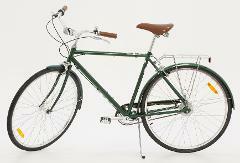 For the discerning lady or gentleman, this forest green beauty will turn heads wherever you ride. 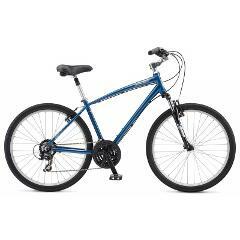 The Schwinn Voyageur is a super comfortable ride. 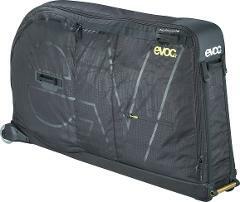 This little beauty is a smaller size step-through frame with easy grip gears. 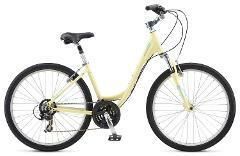 Ride in comfort and style on this fantastic hybrid bike from Schwinn. 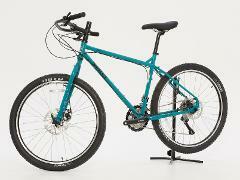 These bikes are delightfully light, quick and perfect for whipping around town. Surly call the Cross-Check their "Jack of all trades". 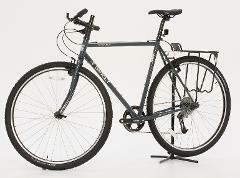 Designed as a cyclo-cross bike the large frame with ample tyre clearance has lots of room for packing. Kitted out with SRAM X5 9 Speed gearing and Surly Knard tyres. The Troll has evolved in to a frame built for off-road touring. We've kitted this guy out with the Jones H Bar, Shimano Deore 10 Speed Hub and 26" Nano 2.1 Tyres. Medium Frame, come on in and check it out! 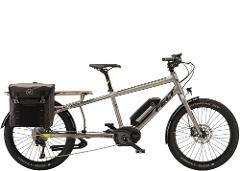 The BrüHaul is an incredibly stable and sturdy cargo bike with built-in hauling features. A wonderful smooth ride! The VERZAe 10 is an excellent choice for cruising the city streets. Perfect if you're wanting to try an e-bike out or would just like a bit of assistance on your Christchurch cycling adventure. 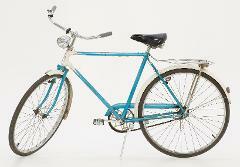 The Schwinn Sierra is a super comfortable ride. This beast has easy grip gears, plush saddle and a lightweight alloy frame. 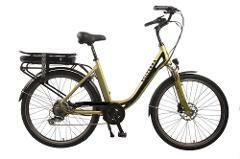 Our Shogun is a bike with style that comes with a comfortable saddle and nice handlebars. Perfect for a day out exploring the city centre, or a race to the beach. 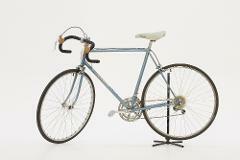 The Miyata 912 is a true vintage beauty. Handmade in Japan using triple butted cromoly tubing, this bike will give you a true taste of what "top of the range" meant in 1984. Perfect for the city or for longer adventures around Christchurch. A comfort bike for all ages. 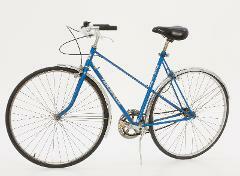 The Schwinn Sierra is a super comfortable ride. 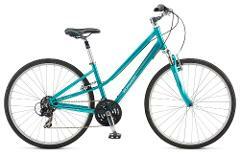 This beauty has a step-through frame, easy grip gears, plush saddle and is made of lightweight alloy. 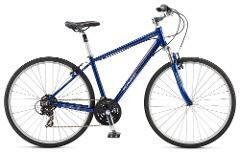 The Volterra Sport is an excellent choice for cruising the city streets. 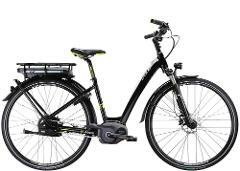 Perfect if you're wanting to try an e-bike out or would just like a bit of assistance on your Christchurch cycling adventure.